Introducing the RSe12 light weight wheels. A 12-spoke classic mesh design that adds an aggressive race look to your MINI without compromising the clean body lines of the vehicle. The RSe12 is spec-ed specifically for the F56, instead of being reconfigured VW wheels which have the wrong center bore, lug seat, width and offset. This translates to complete direct bolt-on fitment utilizing factory lug bolts, center caps, as well as tire pressure monitoring sensors – No spacers, No hub rings! 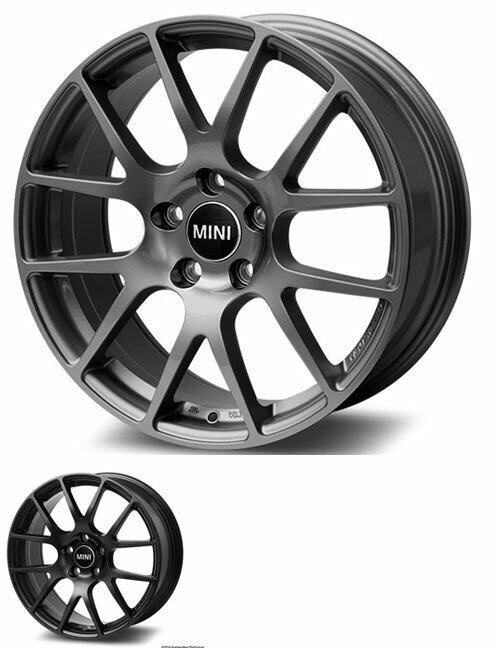 Weighing just a mere 18.8 lbs, The RSe12 wheels will enhance your driving experience cosmetically as well as performance by reducing the rotational mass or unsprung weight.